Just like her sister Gigi before her, this Hadid sister is proving one photo shoot at a time that there's absolutely nothing she can't do, including going to the Olympics for horseback riding. 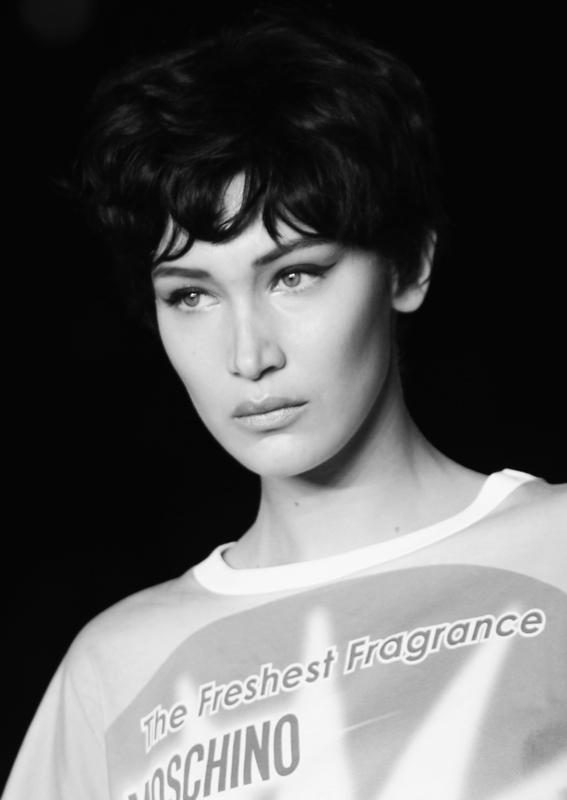 That's right — not only can she work a catwalk with the best of them, but it turns out Bella Hadid is also a potential Olympic-level equestrian. My devotion stemmed from my mom's love of horses. I have been riding since I could walk and the fact that my mom knew everything about horses really helped my passion grow... You know how every model is like, 'I do yoga.' Well, I find horses have the same effect. You have to put your ego aside and concentrate on making the horse do the things you want it to do, and move in the way you want it to move. But Hadid isn't the only muse with an unusual side gig. These seven supermodels have all developed some pretty interesting and unusual hobbies that give each of them a claim to fame for a whole different set of reasons. Though she may be the most famous supermodel in the world, Kate the Great knows that a pretty face won't last you forever. But no worries there because in an interview with Stylist, she boasted to making a pretty mean roast "with her eyes closed." But what really sets her apart is her unbeatable gravy, which has made her an immediate favorite at dinner parties the world over. She may have epitomized that je ne sais quoi brand of French girl cool, but that doesn't mean Erichsen doesn't know how to express herself. In an interview with The Cut, she confessed that she'd love to be a poet someday, saying, "I do write now, but I'd like to actually be really good at it, you know? It takes years of practice, I think, in order to get really good at something." Vodianova may look like a modern woman on the runway, but the model has some surprisingly old-world hobbies, namely embroidery and laying carpets, telling Vogue UK the she excels at both. Kloss knows how to diversify her interests. Not only has she dominated the fashion world since 2008, but she's gone on to launch her own line of cookies, a YouTube channel, and a school for young girls who want to learn coding. Considering Kloss is still just 23-years-old, I have a feeling we can all expect a lot more interesting side projects coming up in her future. Jenner has a lot on her plate as one of the hottest models of the moment and a prominent member of one of the most famous families on reality TV. But she recently confessed that aside from horseback riding and clothing design, Jenner is also passionate about interior design, revealing she's totally addicted to the Instagram account boss_homes. Delevingne seems to be pretty gifted at whatever she does. She may have stumbled into modeling by chance, but she has been actively pursuing her many other interests including acting, singing, and beatboxing, of all things. The model proved she has some pretty impressive chops in an Instagram post where she sets the groove for Pharrell and Justin Timberlake who both look majorly impressed.